For graduates of all diploma programs at VanArts, degree pathways are available through the Vancouver campus of Fairleigh Dickinson University (FDU). Through this pathway, VanArts graduates will be able to earn 45-60 credits of a 120 credit degree program, advanced standing towards a Bachelor of Arts in Individualized Studies (BAIS). 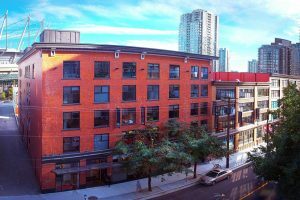 A local downtown Vancouver partner allows students to continue their studies close by. 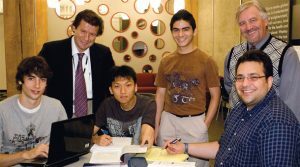 International students can apply for a post-graduate work permit after completing the BAIS program. Students can choose from several areas of specialization for the Bachelor of Individualized Studies: Applied Technology, Business, Communications, Hospitality & Tourism, or International Relations. Students can study abroad for 1-2 semesters at campuses in New Jersey, New York or the UK. Up to 9 credits within the BAIS program can be taken at a Master’s level, so if students decide to pursue a Master’s degree after completing their BAIS, they already have a head-start in credits and fees. Who can Transfer to FDU? 1.5 to 2 years. Students must take a minimum 12 credits per semester, but can take up to 18. Students with a prior Bachelor’s degree may have additional credit value applied (up to 90 credits total, including credits applied from VanArts), and complete their BAIS at FDU in as little as 8 months (two semesters). Have any VanArts Graduates Completed this Pathway? Meet Gurvinder Padda Singh and Maanik Puri from India, who both studied at Vancouver Institute of Media Arts (VanArts) and Farleigh Dickinson University through our degree pathway program. For more information on tuition, start dates, and admissions, contact us today.